In a previous post I wrote about how I tried to find the copyright owner of the diagram The Island of Research and how I made contact with Ernest Harburg. 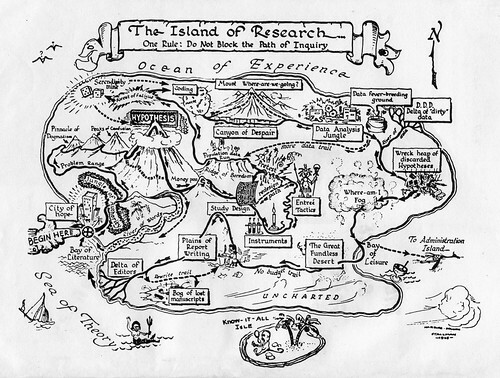 The Island of Research, an illustration by Ernest Harburg uploaded to Flickr by barbourians. Used with permission. I have seen this image The Island of Research used in presentations about academic research and design and I have always wondered where it came from. So I wanted to write this post to document my findings. The final outcome of my search is that the copyright for the illustration is held by Prof. Ernest Harburg of the University of Michigan in the USA. His profile and CV can be seen here. The diagram was drawn by William Brudon. I first saw the image on the cover of a book The Science Game by Neil Mck. 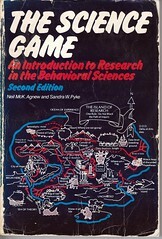 Agnew and Sandra W. Pyke published by Prentice-Hall in 1978. 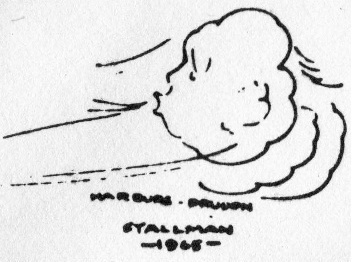 The image was prepared by Dr. Ernest Harburg of the University of Michigan along with Elaine Stallman and drawn by William Brudon. Searching the internet I have found this information confirmed at http://www.profbailey.com/seminar/island.htm whereas this post http://dailygeog.blogspot.com/2010/05/island-of-research.html credits Agnew and Pyke which isn’t correct and links to this image which doesn’t attribute the source to anyone. I also found it on a page at www.duke.edu which credits Neil Agnew and Dandra [sic] Pyke, and although the diagram is in The Science Game that isn’t the original source of the diagram. I am the owner of the copyright for this illustration and I am very generous about having it used by my colleagues. I would just ask you to send me a final copy any publication in which it appears. I wish you the best of luck. So on the basis of this I will credit the image to Ernest Harburg (Used with permission) and will also include a link to this post. Harburg, Ernest. (1966). Research Map. American Scientist, 54, 470.